Desert Bus for Hope 2018 is 21 days away! 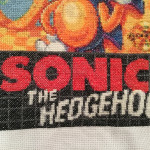 Sonic the Hedgehog Box Art Cross-Stitch! Gotta go fast! 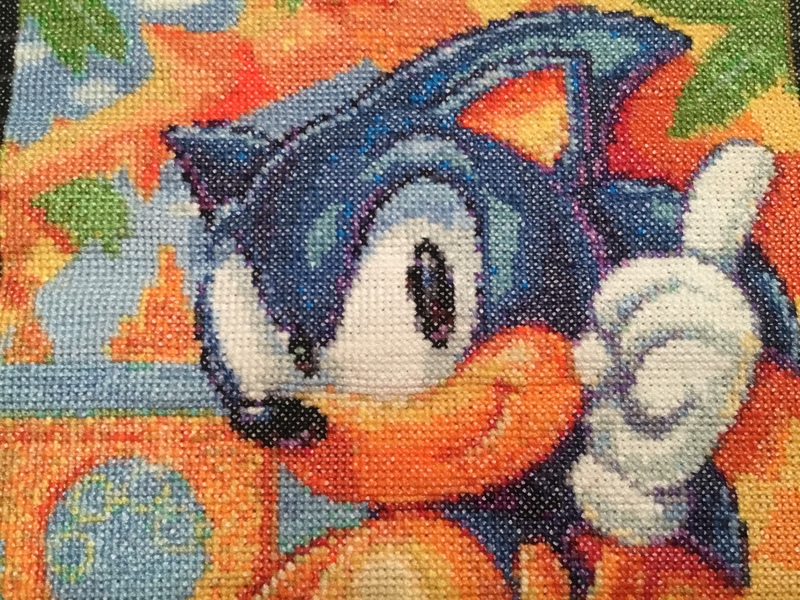 It’s everyone’s favourite chili-dog loving anthropomorphic talking blue hedgehog! 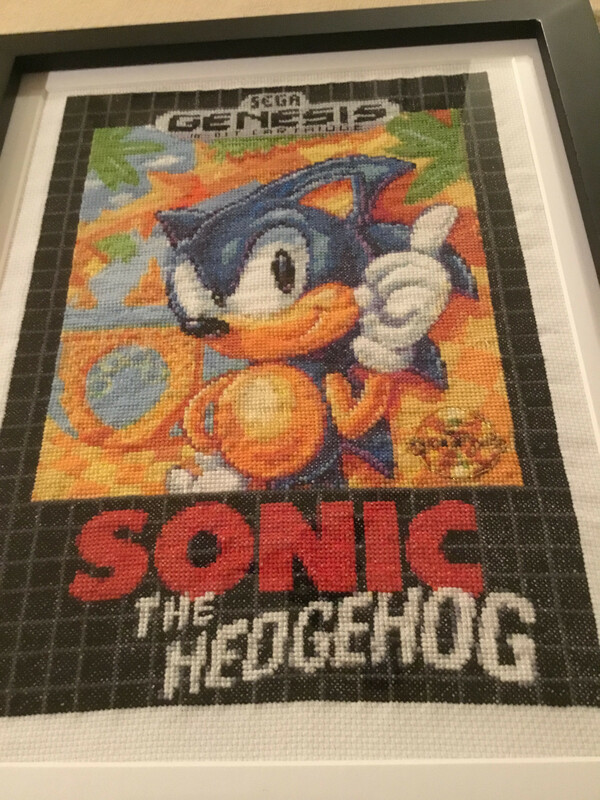 This cross-stitch celebrates Sonic by recreating the box art for the very first Sonic the Hedgehog game for Sega Genesis. 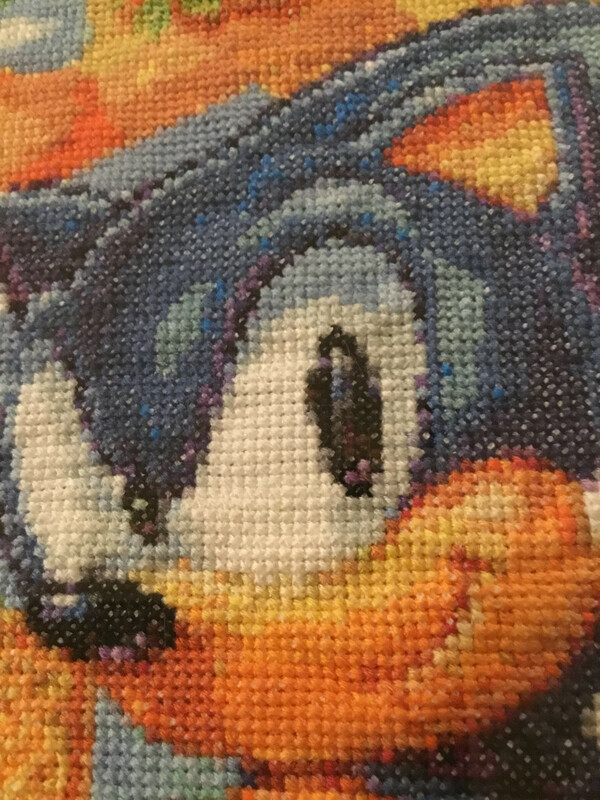 The stitch is on 14-count white aida cloth, measures 9” by 12”, and is framed inside a 12” by 15” black frame. 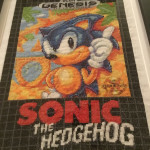 It contains over 22000 stitches in 78 colours of DMC floss, and took approximately 175 hours to complete. 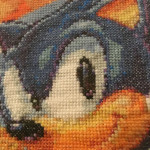 The cross-stitch pattern was created from a photo to cross-stitch conversion program and then further modified by the artist. You know you’ve got the game still at home somewhere….why not put the box art up on your wall, too? This item should go FAST, so you’d better make sure to get your donations and bids in quickly, or else YOU’RE TOO SLOW! 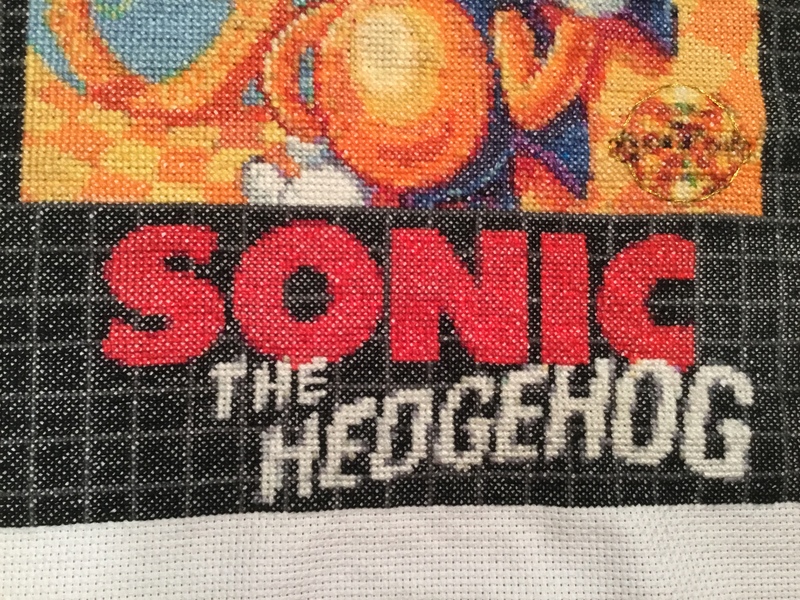 OC (original cross-stitch) do not steal. 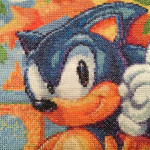 Dillatont was inspired to re-learn cross-stitching while watching Desert Bus 9, and he has enjoyed stitching video game-themed projects ever since. This is his 2nd year contributing to the Desert Bus Craft-Along, and he is thrilled to help raise money for the children.